Featured in The National: "A day in the life of Karim Helal, Founder of ProTenders.com". Karim Helal is the chief executive and co-founder of ProTenders.com, a construction intelligence and tendering platform connecting developers, consultants, contractors and suppliers. The Canadian, 41, who grew up in the 1980s in Abu Dhabi, where his father worked as an architect, returned to the capital 10 years ago, where he now lives with his wife and two-year-old son. The businessman says there is no "typical" 24 hours in the life of an entrepreneur. "Every day is different and brings new challenges and new surprises, and that’s what makes entrepreneurship so exciting." 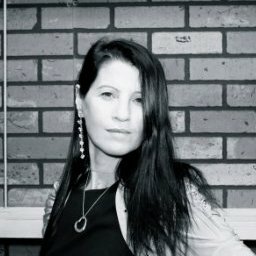 Entrepreneur, corporate adviser and award-winning communicator, I have over 20 years experience in PR, marketing and brand strategy, consulting, corporate communications, new market entries as well as investor relations for blue chip financial corporations in Europe, Asia and the Middle East. I am bilingual, holding dual French and Australian nationality. Educated in France – where I was born, my international career includes senior corporate communications and strategic marketing positions held in Paris, Sydney, London, Dubai and Doha.